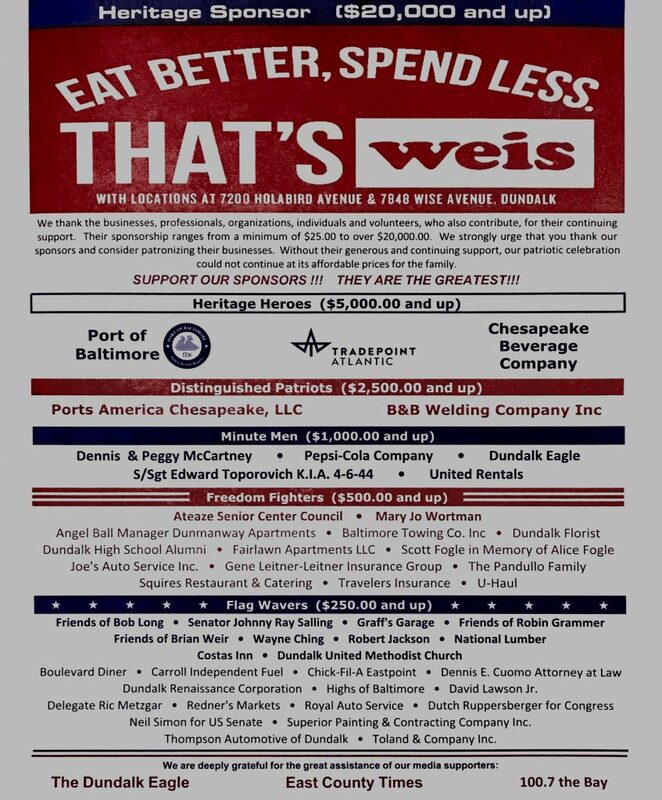 Thank you to our sponsors who graciously donate their time and money to make each 4th of July in Dundalk better than the last! 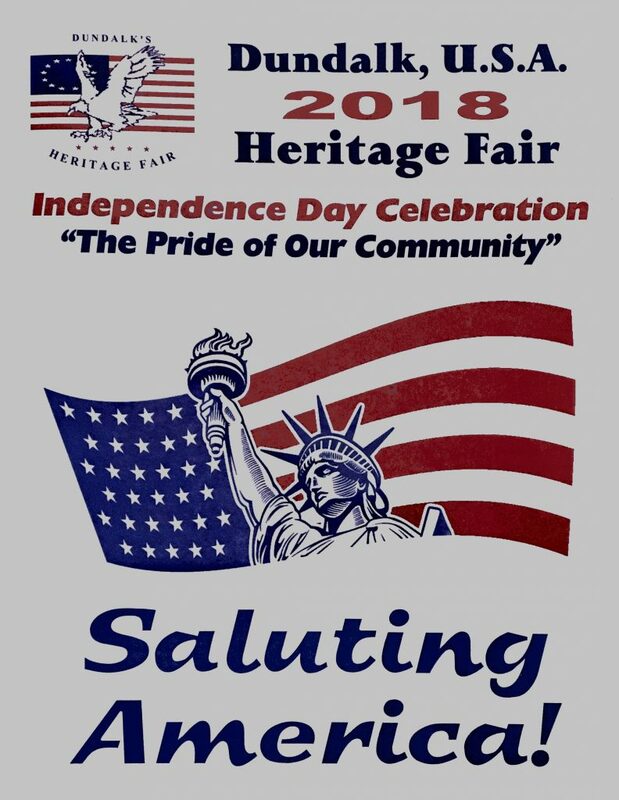 Putting on America’s biggest celebration of our nation’s birth requires the wholehearted support of hundreds of individuals who donate their time and energies. It is not practical to list all of them. We would, however, express our appreciation to those governmental, business and community organizations without whose help our event could not take place. 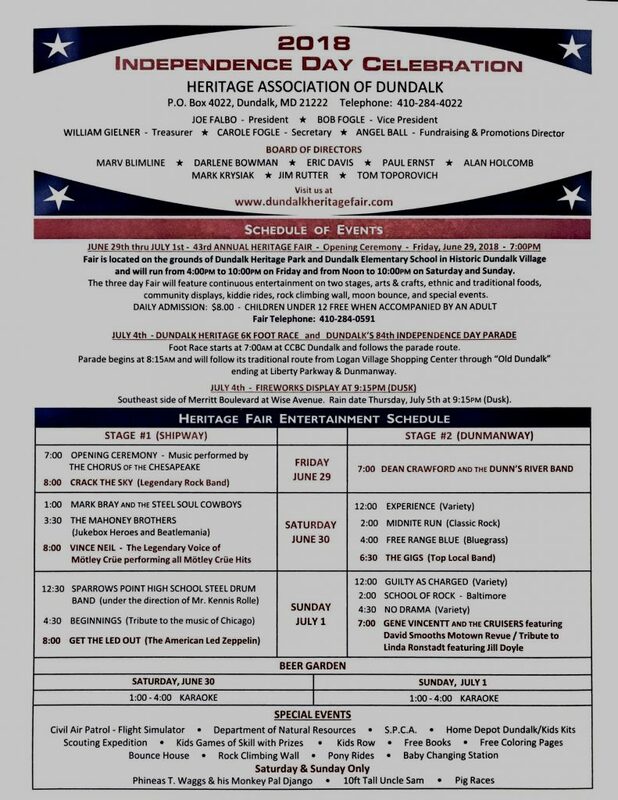 A special thanks to Weis Markets for their sponsorship of the Dundalk Heritage Fair! 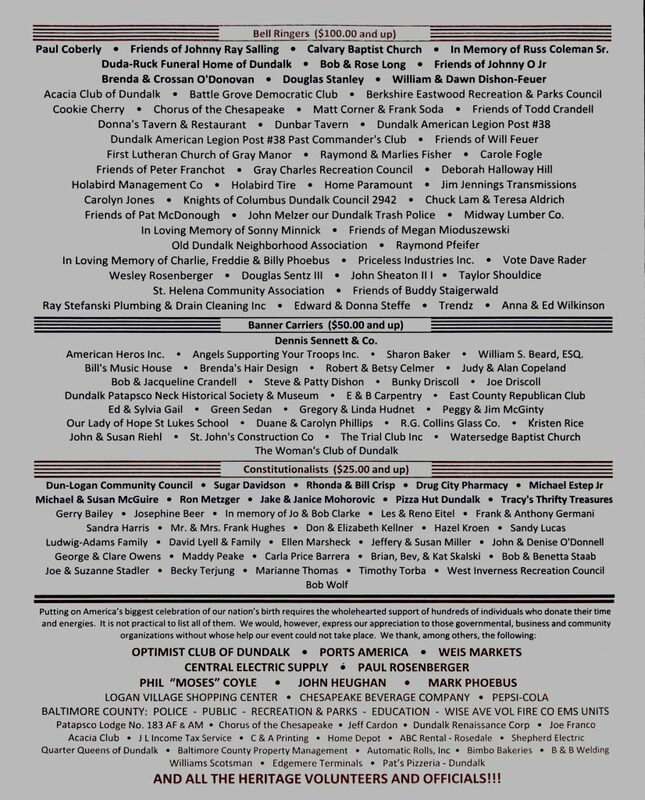 We thank those who sponsored and placed their banner on the fair fence!